vote | It's "All in WDW"
Irresistible? You Bet! The Butterfinger Cupcakes Win … Again! Way to go, Starring Rolls! 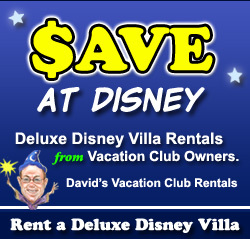 You are still the All in WDW Readers’ Favorite Hollywood Studios Quick Service! It won this “prize” in 2014, too, my friends. Folks, it’s just too hard to pass by a Butterfinger Cupcake, isn’t it? I mean, look at it! Let me tell you, if you haven’t had one yet, you should. It’s the decadent “cupcake cousin” of the long-time popular candy bar, and it’s delicious! As for the remainder of Hollywood’s Quick Service options, you’d recommend them to family and friends in this order – the All in WDW Readers’ Favorite Top 5 Hollywood Studios Quick Services! Great work, everyone! At some point in the future, we’re going discuss Hollywood’s Quick Services again, though. Why, you ask? 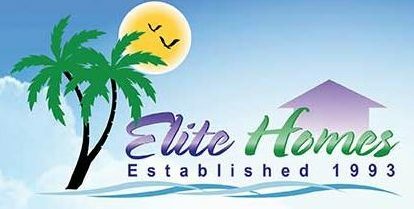 Well, the comments I saw over the past two days suggest that they are all candidates for our “Rehabilitate or Eliminate” feature! Hey! 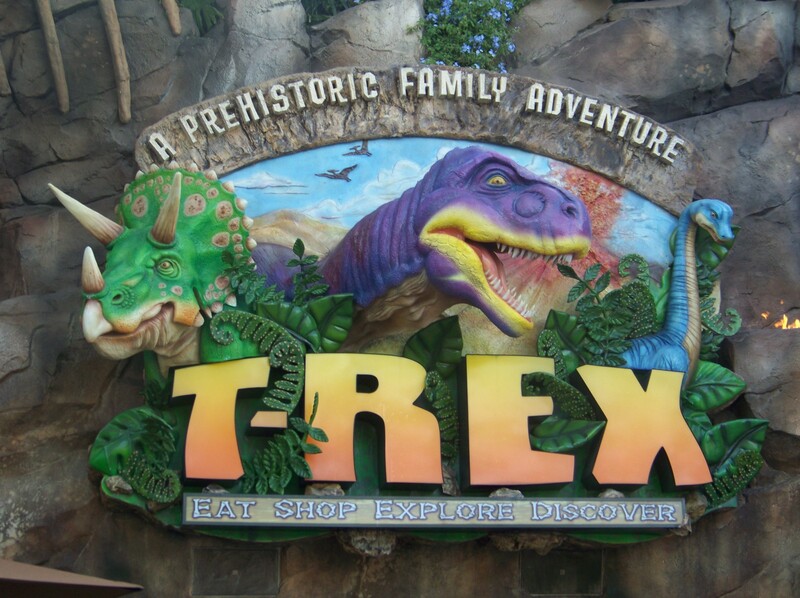 Maybe its time we took it into our own hands and improved dining at the Studios for Disney! Your FAVORITE Hollywood Studios Quick Service? VOTE! Good morning, my friends! Welcome back to All in WDW! Are you ready to hit the polls? Once again, it’s time to vote! How could I take all of that time last weekend to stroll past Sunset Boulevard’s Quick Services and leave some of them “un-visited”? Which did I miss, you ask? Well, we haven’t dropped by Anaheim Produce as yet. I know. Fruit. Wouldn’t hand-dipped ice cream be more enticing? However, we’ve neglected Hollywood Scoops as well! 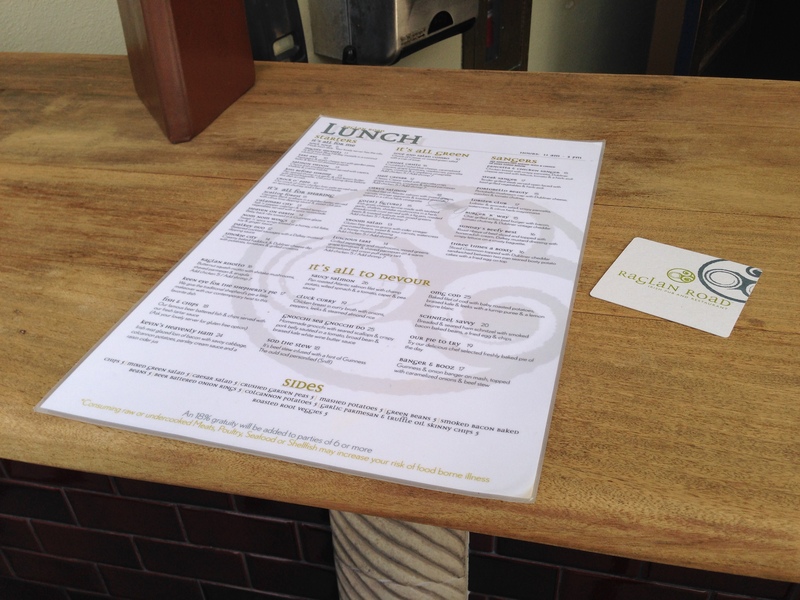 If you missed them earlier, please click the links above to view their menus. You might just need that information in a few, brief moments! 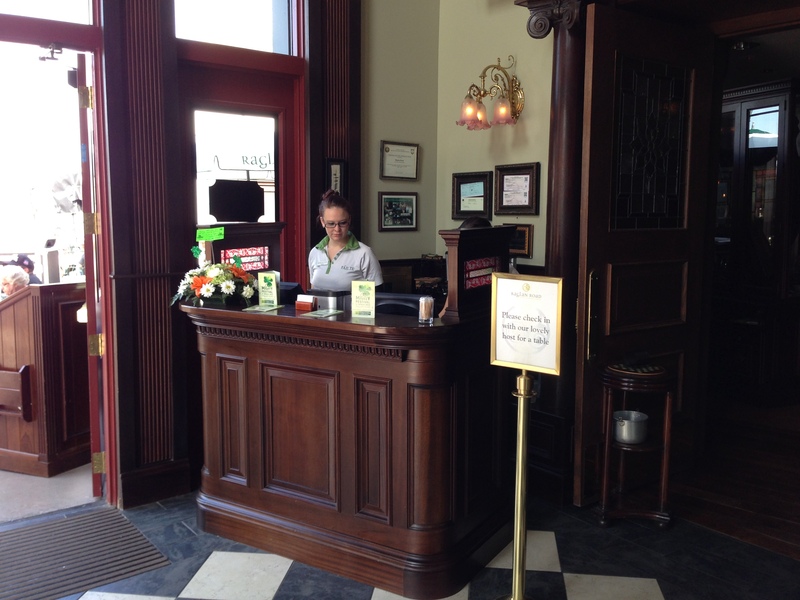 Folks, welcome to the All in WDW Readers’ Favorite Hollywood Studios Quick Service poll! Below, I present you with twelve options. Everything Hollywood has to offer! Your job, today, is to select your Top 3 choices. Yes. That’s right. You can select THREE of these Quick Service venues. When all is said and done, ONE of them will “reign” supreme! Straightforward enough, eh? Will it burgers or pizza? Will it be barbecue or bakery? 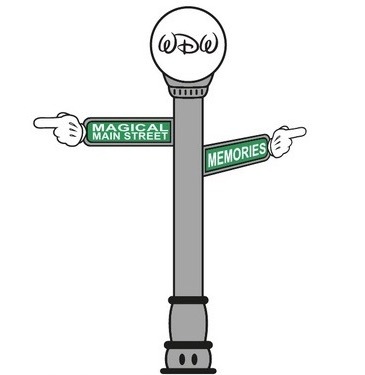 Only YOU know, my friends, so VOTE! 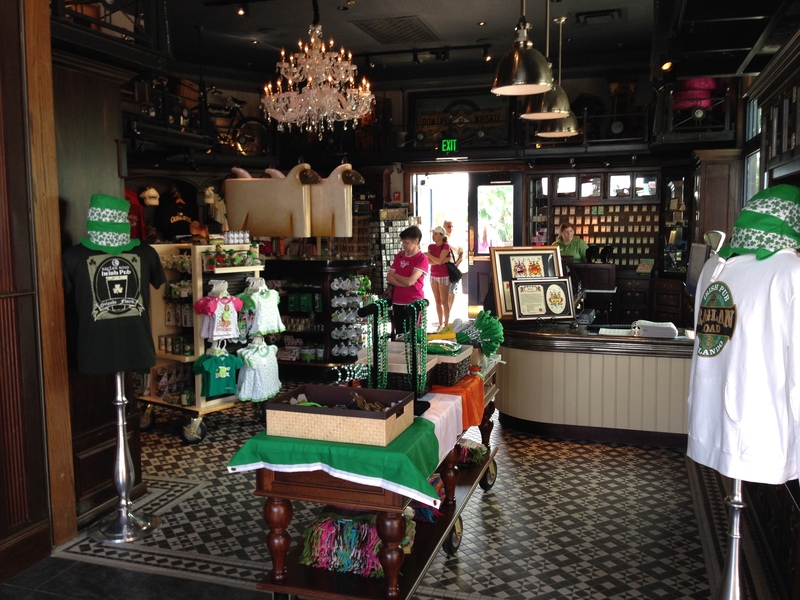 Well, I’ll say one thing for us … when it comes to Downtown Disney, we know what we like. Clearly, our hearts lie with Ireland! 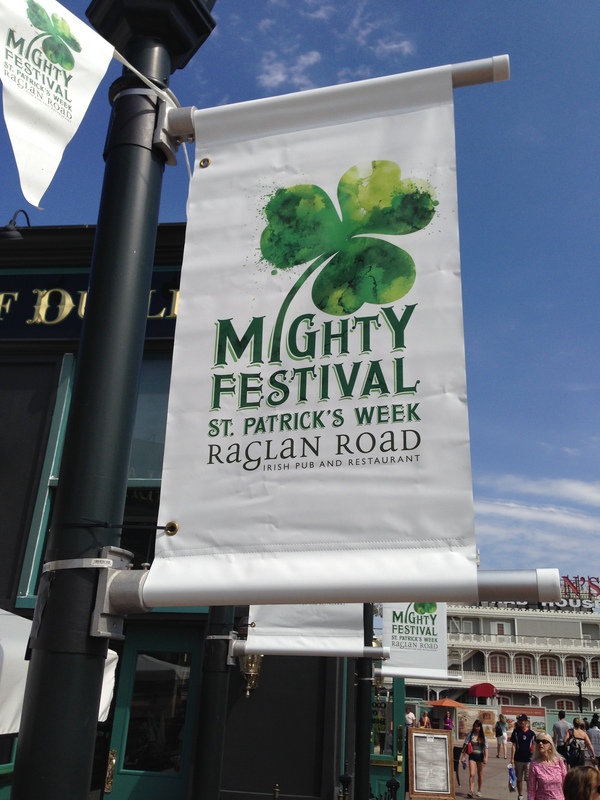 And, the word “landslide” doesn’t even start to describe Raglan Road’s victory. 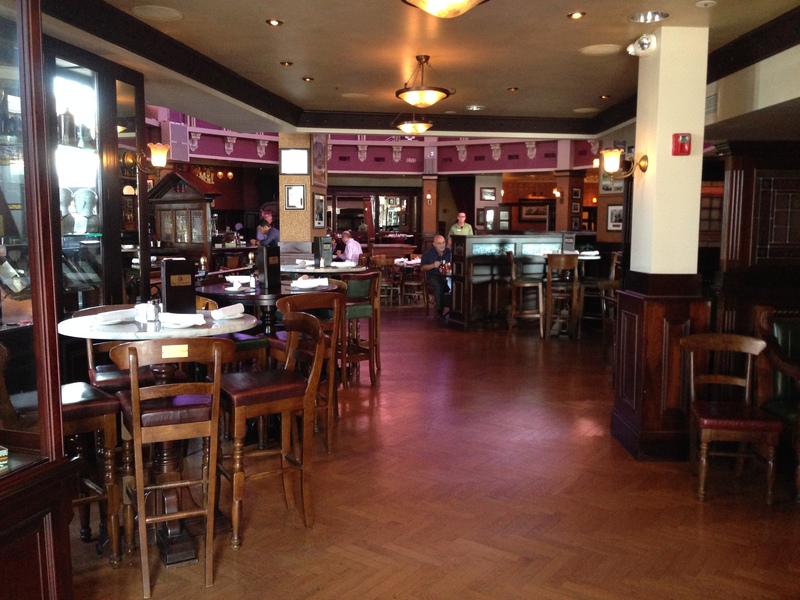 Master Chef Kevin Dundon’s authentic Irish pub retains its crown! 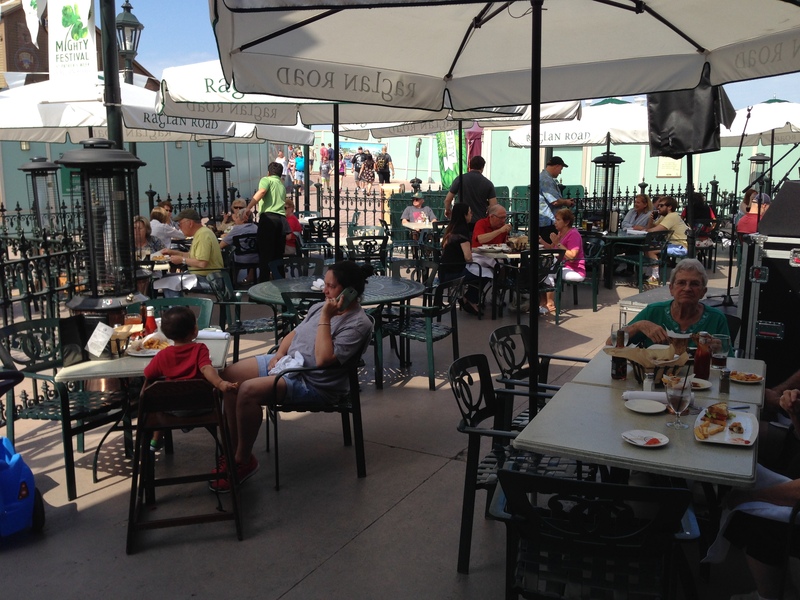 It is the All in WDW Readers’ Favorite Downtown Disney Table Service! 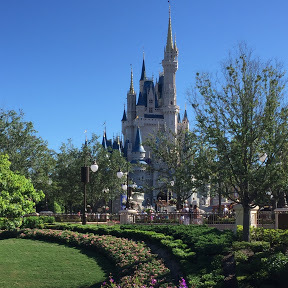 You know, when an attraction, resort, or dining establishment wins one of All in WDW’s polls, I usually congratulate it with some glowing comments or an honorary pictorial … or, both! Today, in Raglan’s case, I’m going to have to break with that “tradition” a bit. What? Really? We did … at the best time of the year (we thought). In search of a quick beer and a snack, we stopped in this past March during St. Patrick’s Week! Reception was pleasant enough. It was a bit before Noon, and, right then, ADRs weren’t a necessity. The restaurant was yet-to-be filled. 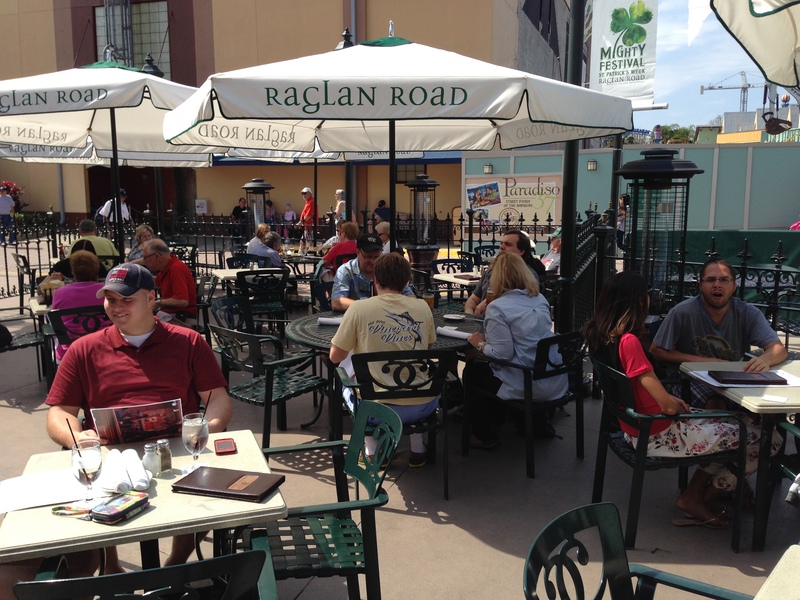 But, we were drawn to Raglan’s patio! We were hoping to sit at their outdoor bar. The hostess invited us to grab a seat! As you can see, there was plenty of room. But, within minutes, two other parties joined us. This is where our disappointment began. Have you ever gone into a restaurant and sat forever waiting for someone to stop by to provide you with service? Uh, yeah. That’s what happened to us that day. In fairness, it was early in their business day … but, in our defense, we were told we could sit and be served at the bar. We even stopped a server or two as they walked past from patio tables to restaurant entrance and asked if they could bring us a beverage. Alas, they claimed they weren’t allowed. We had to wait for a bartender. Who we could see lurking around behind the indoor bar! OK. So that’s where my beer should have been. It was pretty frustrating and very disappointing. Especially since everyone else seemed to be having fun in the sun! After about 20 minutes, we gave up. The other two parties at the bar looked like they were bound to stick around, but we hit the gift shop and decided our “lunch” would have to come from somewhere down the Sassagoula River. 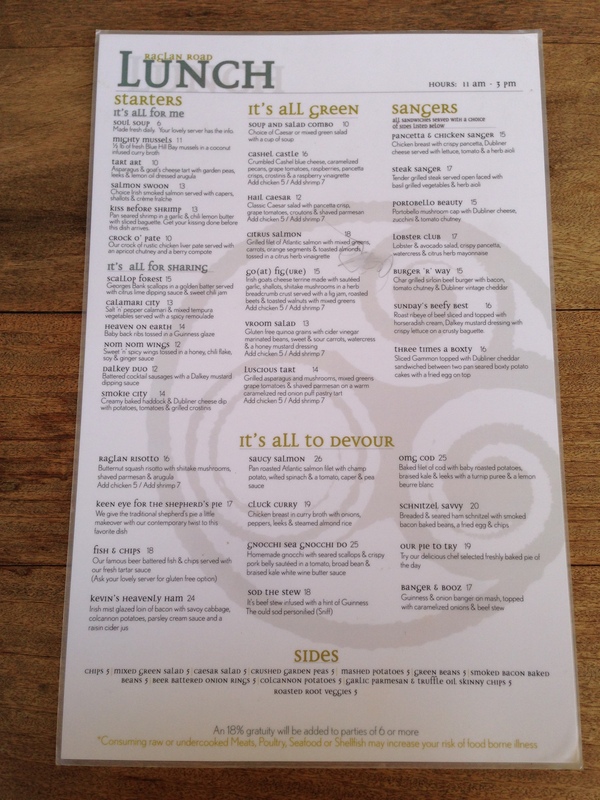 It’s too bad, too, as we were looking forward to trying Raglan’s fare. I think we both had our eyes set on a serving of genuine fish & chips! 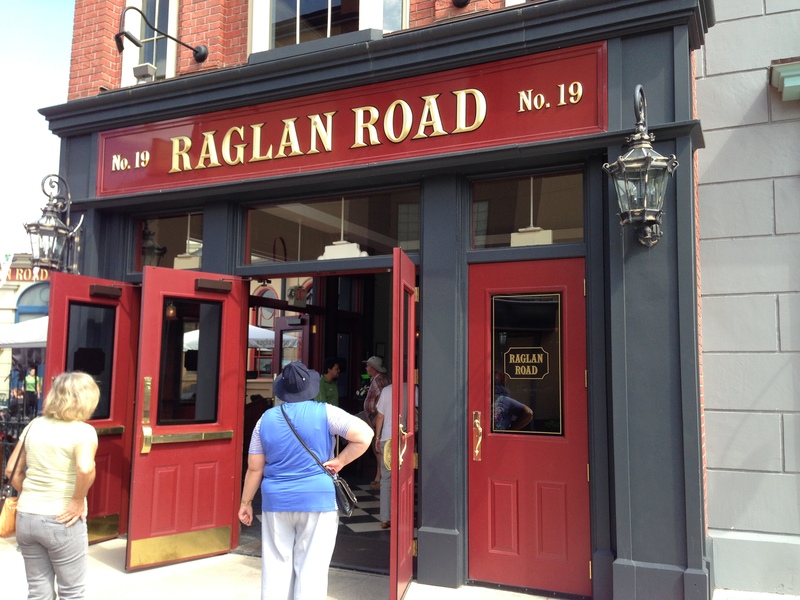 Has our opinion of Raglan Road been soured forever? I don’t think so. Every restaurant has a “bad day”. I’m not sure if we’ll run back for another “go” in the immediate future, however. Having said that, given the pub’s popularity, I, at least, would still like to dine there. As we’ve run our polls over the last two years, few restaurants have dominated their competition as thoroughly as has Raglan. If it’s that good, I have to try it! Our final Downtown Disney dinner? No, it’s just the “Big Finale”! Vote! Good morning, folks! What a turnout yesterday! Thanks for your support. Let’s do it one more time … today! What a close vote in Group #2! 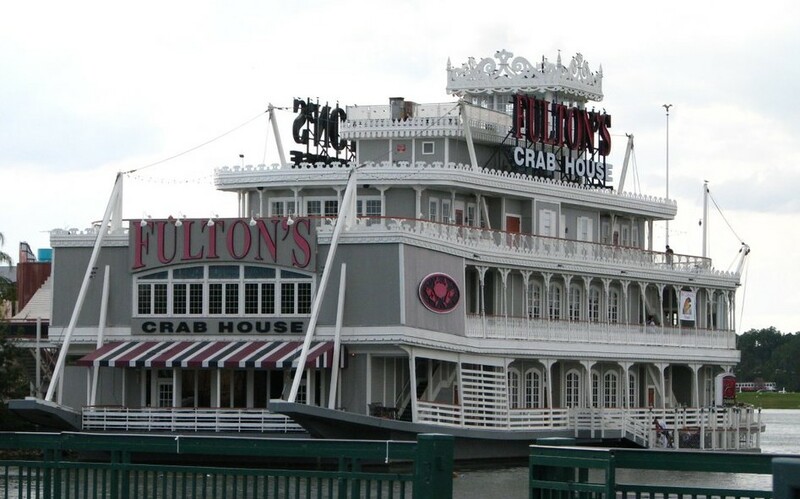 Fulton’s Crab House, Wolfgang Puck® Grand Cafe, and Downtown Disney’s Rainforest Cafe® spent most of Thursday in a three-way brawl for supremacy. Even Bongos tried to keep up with the action. In the end, a clear victor didn’t emerge from amongst that four. We just achieved a definite, “These two restaurants squeaked out the highest number of votes in this group, so get it over with and put them into the finale, Bob!” It was razor-close. Go back and take a look! But, afterwards, don’t forget to come back and name your “champ”. You have to ‘weigh in’ one last time! Expectations for a forgone conclusion or not, this party isn’t over until the last vote is cast! VOTE! Dive into Dinner! VOTE! It’s “Disney’s Downtown Dining Delights” – Round 2! Heather, you may very well be right. But, folks, that’s not going to happen until the rest of the “games” are played. So, now that we’re down to eight remaining contestants, let’s get on with the game! Which restaurant is going to go for an upset? Vote for ONE in each group. The Top 2 in each group will move into the Finale! VOTE! Tell your friends! The more votes the better!